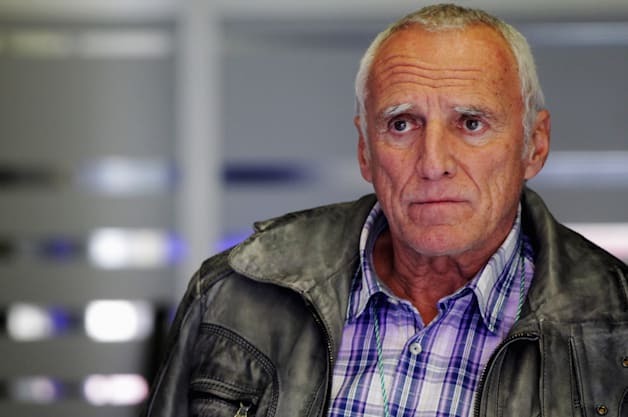 Dietrich Mateschitz, an Austrian billionaire and the man behind the all-encompassing Red Bull brand, had some stern words for Formula One during an interview with an Austrian newspaper. Vienna’s Kurier asked what it would take for Red Bull to pull out of F1. Mateschitz’s answer was tinged with frustration following the disqualification of Daniel Riccardo, who finished second in last weekend’s Australian Grand Prix, but saw his results stripped after the FIA stewards claimed that the rate of fuel flow in his car exceeded regulations. Red Bull appealed the decision and a date has been set in April for a hearing. Mateschitz is still rather salty, though. “The team has lodged a protest. The fuel-flow sensor, which was given to the teams by [the FIA], gave divergent readings and it is inaccurate. We can prove the exact amount of fuel flow and this was always within the limits,” the billionaire said when asked if he’d reached his self-imposed limit. According to BBC Sport, Red Bull ignored a warning by the FIA in Australia that it must use the official fuel-flow sensor, rather than its own readings. It didn’t comply. “It is absurd to race a lap seconds slower than last year. GP2 partially provides more racing and fighting and almost equal lap times as F1 with a small fraction of the budget,” Mateschitz told the paper. What do you think? Should Red Bull be penalized? Do you agree with Mateschitz’s view of F1?